Maurizio Cattelan, Untitled, 2018. Courtesy of the artist. Although the pre-internet era seems a lifetime ago, it wasn’t that long ago that if you wanted to view an artist’s work you had to visit a museum or gallery, or get a hold of a particular book or magazine. Nowadays, you just have to turn to your smartphone and voila! A visual deluge of artworks in infinite reproductions and copies is literally at your fingertips. Is art in danger of being fatally undermined by the digital era’s assault on originality and authorship? 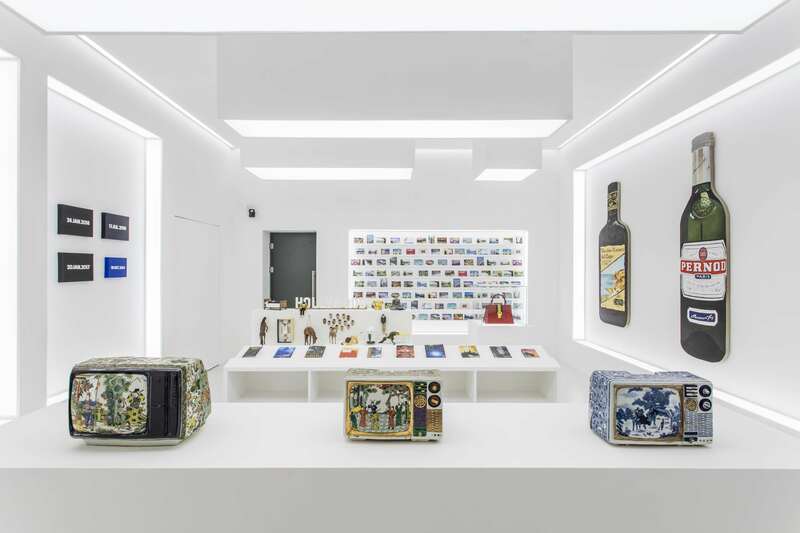 A new exhibition conceived by Gucci creative director Alessandro Michele and curated by irreverent artist Maurizio Cattelan squarely refutes this scenario by making a radical proposition: originality is overrated. 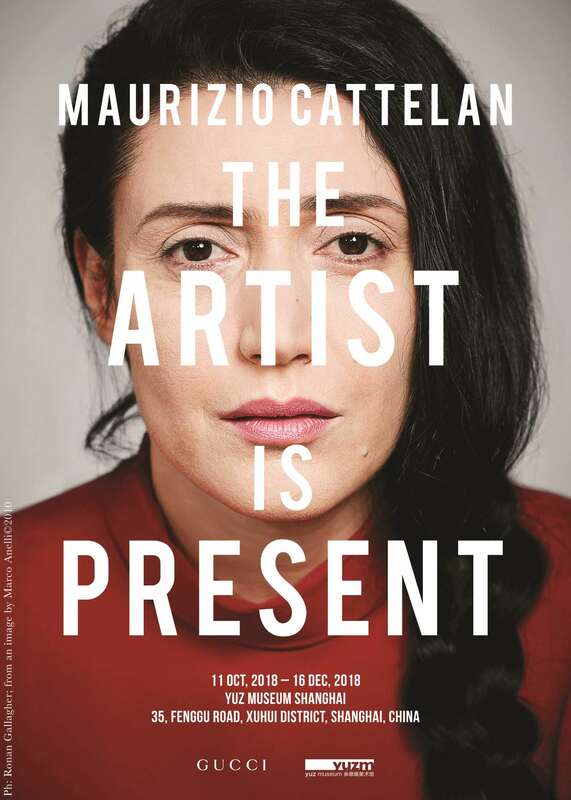 To drive this message home, the exhibition’s name, The Artist is Present, has been borrowed from Marina Abramovic’s 2010 celebrated solo show at MoMA where guests were invited to sit face-to-face with the artist, while a series of ArtWalls teasers in Milan, New York, London, and Hong Kong were replicas of Abramovic’s original posters. 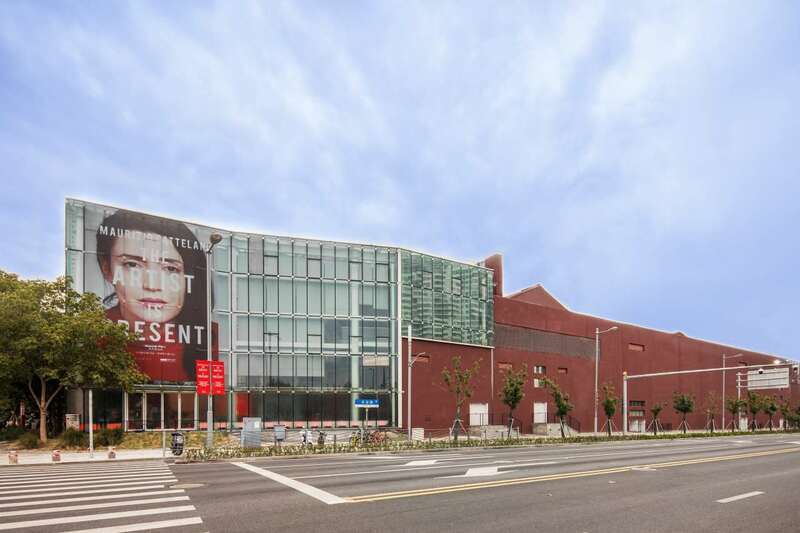 The exhibition, which opened on October 10, 2018, and will run until December 16, in Shanghai’s Yuz Museum—chosen for China’s notoriety as the homeland of counterfeit luxury goods—features more than 30 international artists who embrace simulation and copy. 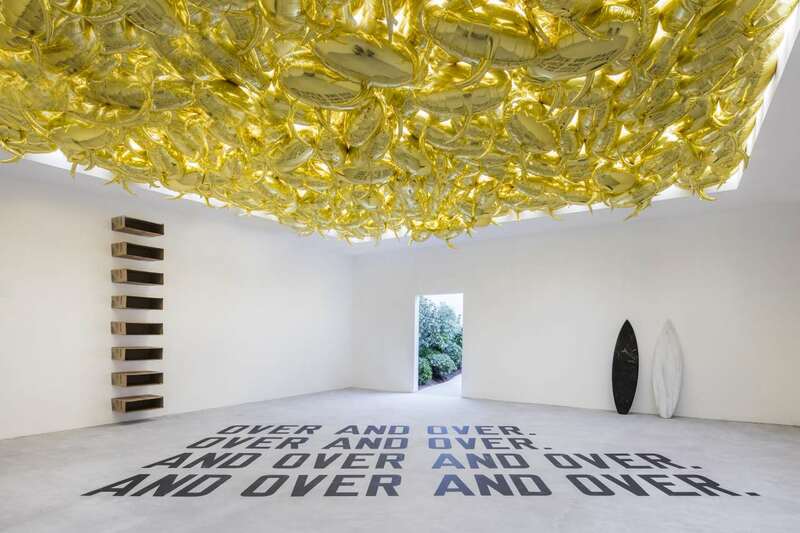 Their work, both site-specific installations and existing pieces, demonstrate how originality can be reached through the act of repetition, and how originals themselves can be preserved through copies. The Artist is Present mural, Shanghai. Courtesy of Gucci. 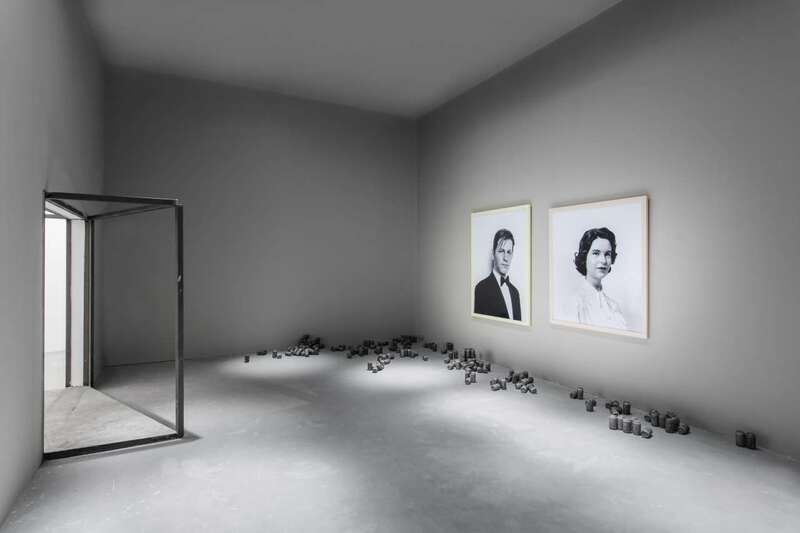 The Artist is Present, Yuz Museum, Shanghai 2018. 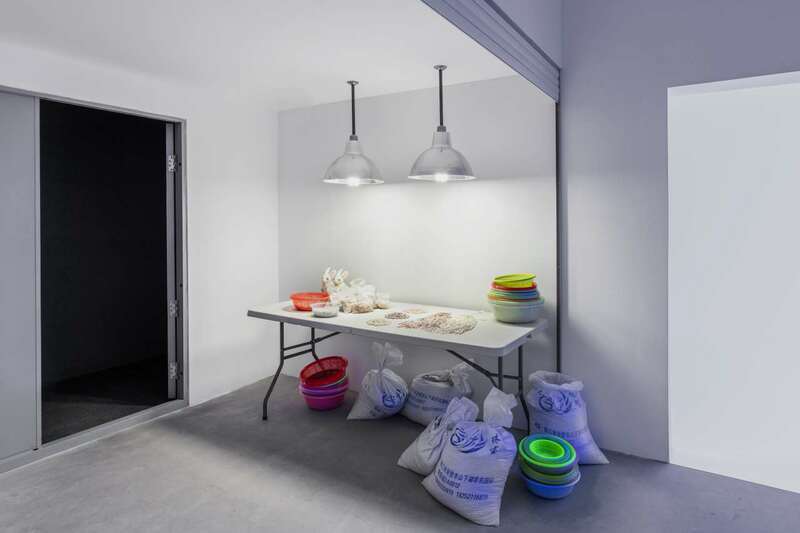 Entrance Room. The Artist is Present, Shanghai 2018. Exhibition View. Art has always relied to a considerable extent on the act of appropriation—artists have been creatively copying their predecessors’ work for millennia with very few instances of true originality in the cannon of art history. According to Plato, art itself is merely a copy of reality, while English writer Charles Caleb Colton believed that imitation is the sincerest form of flattery. In fact, the complex relationship between image and reality, representation and presentation, has been on artists’ minds for centuries. The recent rise of social media, where everybody has become both a producer and a consumer of images, and everything is reproduced, has made the distinction between reality and illusion, original and counterfeit, even more contentious. Michele and Cattelan explore these issues by proposing a new way of conceiving copy as an indispensable tool for navigating contemporary society. Kapwani Kiwanga, pink-blue, 2017. 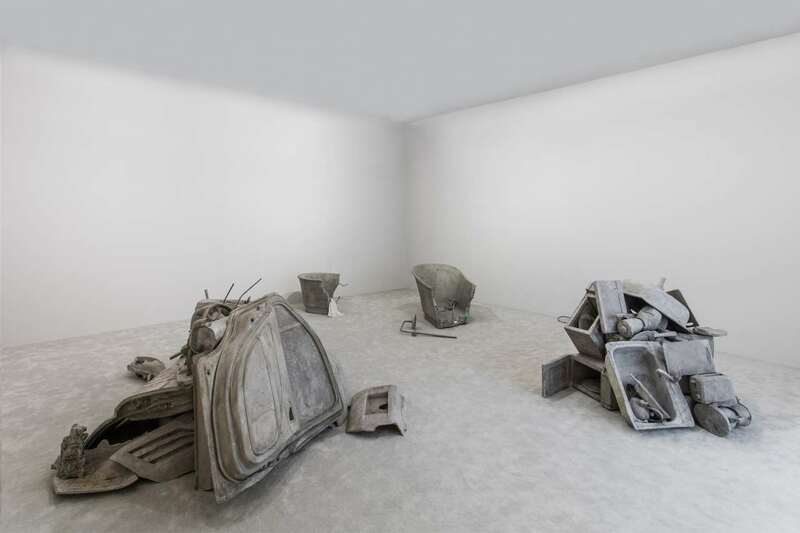 Courtesy of the artist and galerie Jérôme Poggi, Paris / Goodman gallery, Johannesburg and Cape Town / Tanja Wagner gallery, Berlin. Mika Rottenberg, NoNoseKnows, 2017. Courtesy of the artist. Both Cattelan and Michele are no strangers to ideas of copying and appropriation. Take for example the magazine Cattelan co-created in 1996, Permanent Food, whose pages were reprinted from other magazines—declaring at the time that images don’t belong to anybody—or one of Cattelan’s most famous works, Ninth Hour, a life-sized effigy of Pope John Paul II lying beneath a meteorite, not to mention his latest work for the Guggenheim Museum, a fully functional replica of one of the building’s toilets, cast in 18-karat gold. Similarly, Michele’s collections for Gucci have challenged fashion’s ideas of imitation through his brazen appropriation of an eclectic selection of inspirations, from antique textiles, clothes and carpets, to the logos of Paramount Pictures and The New York Yankees, Mickey Mouse and the iconic SEGA font. As for the fashion shows, for Gucci’s Spring 2018 Michele recreated his own Roman Forum while the models in the Fall/Winter 2018-2019 runway were holding replicas of their own heads. XU ZHEN®, Eternity – Northern Qi golden and painted Buddha, Tang Dynasty torso of standing Buddha from Quyang city, Northern Qi painted Bodhisattva, Tang Dynasty seated Buddha from Tianlongshan, Northern Qi painted Buddha, Tang Dynasty torso of a seated Buddha from Tianlonshan grotto No. 4, Parthenon East pediment, 2013-2014. Courtesy of the artist and MadeIn Company. The Artist is Present, Shanghai 2018. Exhibition view during opening event. Courtesy of Gucci. The Artist is Present, Shanghai 2018. Exhibition View. 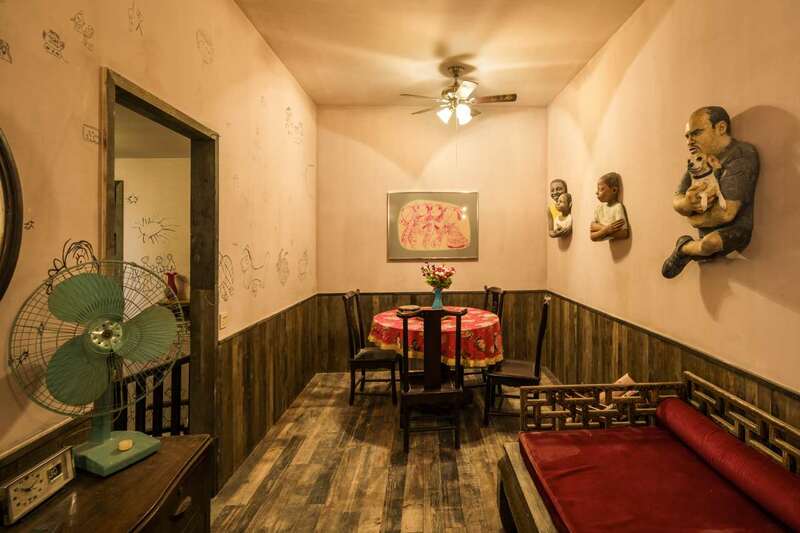 The exhibition is conceived as a series of 17 immersive rooms, oscillating between whimsical and perplexing, where visitors can engage with rather than just look at the artworks. 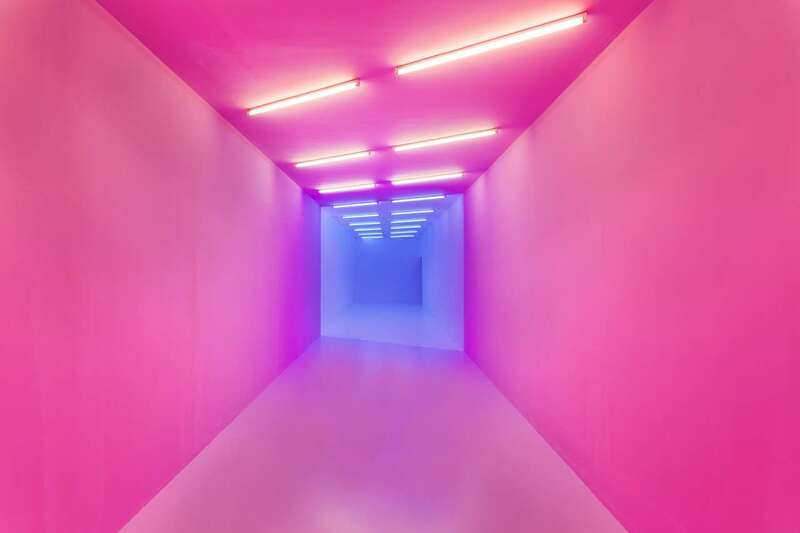 Canadian artist Kapwani Kiwanga’s disorientating installation, pink-blue (2017) kicks of the show by taunting visitors’ perception as they walk along a corridor half of which is painted Baker-Miller pink, a tone that experiments have shown has a uniquely tranquilizing effect on subjects, the other half being bathed in an intense neon blue, which is often used in public bathrooms to deter intravenous drug use. 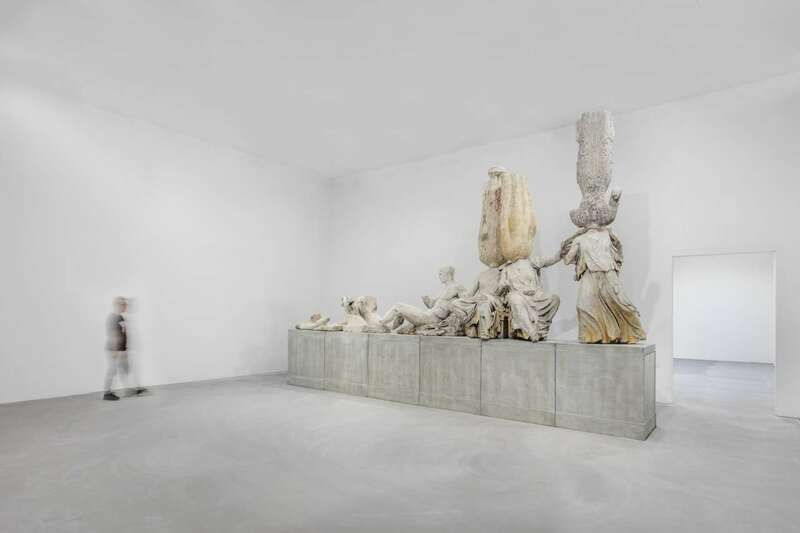 Visitors soon encounter a reproduction of the Parthenon’s east pediment enriched with upside down replicas of Chinese Buddha figures by Chinese artist Xu Zhen, titled Eternity (2014). 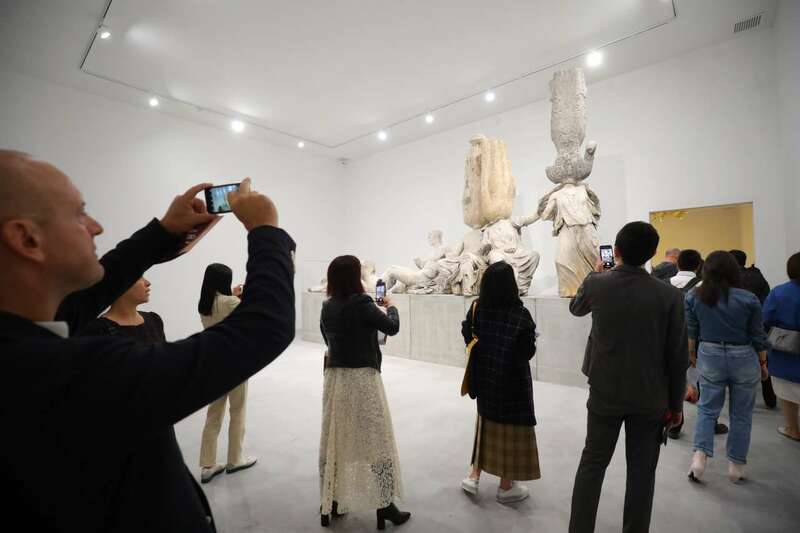 Great care has been taken for the artificial stone castings to match the colour and granularity of the original statues as closely as possible making the surreal composition a literal embodiment of the art world’s trope “East meets West”. Even more astounding is a 1:6 replica of the Sistine Chapel, a site-specific installation by Cattelan, where visitors can admire Michelangelo’s masterpiece up close, something that ironically is impossible in its original setting in the Vatican. Considerably less exuberant, but as accurately reproduced, is the following installation by Danish artist’s group Superflex, Power Toilets/Council of the European Union, where visitors pass through the toilets at the Council of the European Union in Brussels, precisely replicated in collaboration with NEZU AYMO architects. Superflex, Power Toilets/Council of the European Union, 2018. 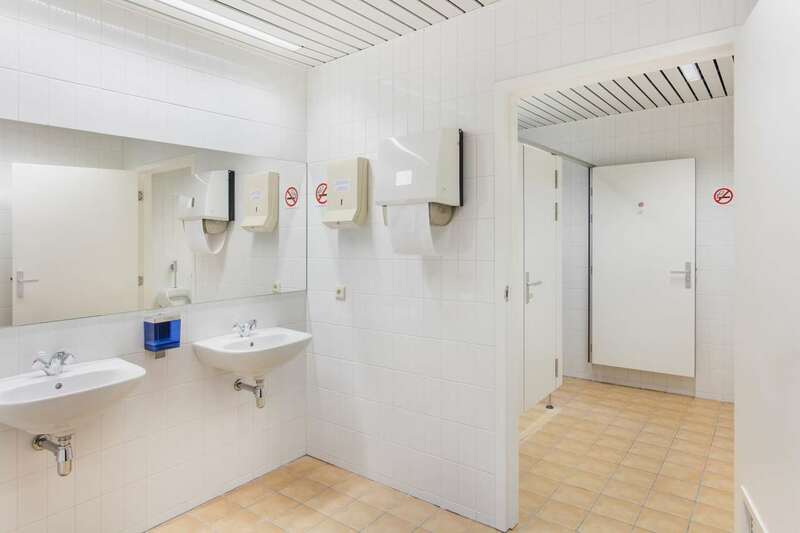 Power Toilets / Council of the European Union is designed in close collaboration with NEZU AYMO architects. Courtesy of the artist. Josh Kline, (from left to right) Shrugging it off, 2017. Courtesy of Stuart Shave/Modern Art, London. Copyright the Artist. Sighs of the Times, 2017. Courtesy of Stuart Shave/Modern Art, London. Copyright the Artist. Comfort Food, 2017. Danny and Lisa Goldberg - Sydney, Australia. The Artist is Present, Shanghai 2018. Exhibition View. In the foreground porcelain TVs made by artist Ma Jun. Further on, visitors stumble into a museum shop filled with fake tchotchkes, including a series of TVs made by Chinese artist Ma Jun using traditional Chinese porcelain-making techniques, and a Gucci Sylvie bag made with more than 1,000 pieces of LEGO by Chinese artist and LEGO Certified Professional Andy Hung Chi-Kin. Although quite different in style and medium, those two stunning, painstakingly hand-crafted artworks squarely demonstrate that the act of copying can be a noble act of creation. The exhibition also includes a replica of a traditional Chinese home, a performance by Icelandic artist Ragnar Kjartansson who sings My great, great, grandmother’s song (for China) on a pop-up stage, and a three-metre tall industrial contraption that turns food into faeces by Belgian artist Wimp Devote, playfully named Cloacae N° 5 (2006), a riff on Chanel’s iconic N° 5 perfume. 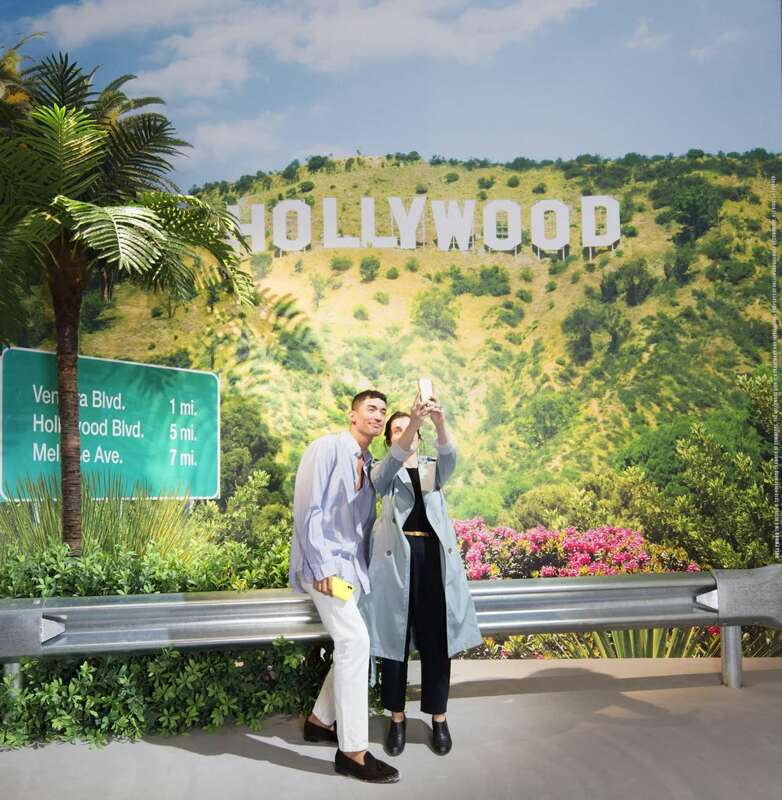 The show ends with a photo-realistic backdrop of the Hollywood sign, complemented by a highway guardrail and fake palm trees, where visitors are encouraged to take selfies. Rest assured, this is one museum exhibition where you can be certain that taking and Instagramming pictures is allowed. Ragnar Kjartansson, My great, great, grandmother’s song (for China), 2018. Performance. Courtesy of the artist and Luhring Augustine. Ragnar Kjartansson, My great, great, grandmother’s song (for China), 2018. Performance. Courtesy of the artist and Luhring Augustine. 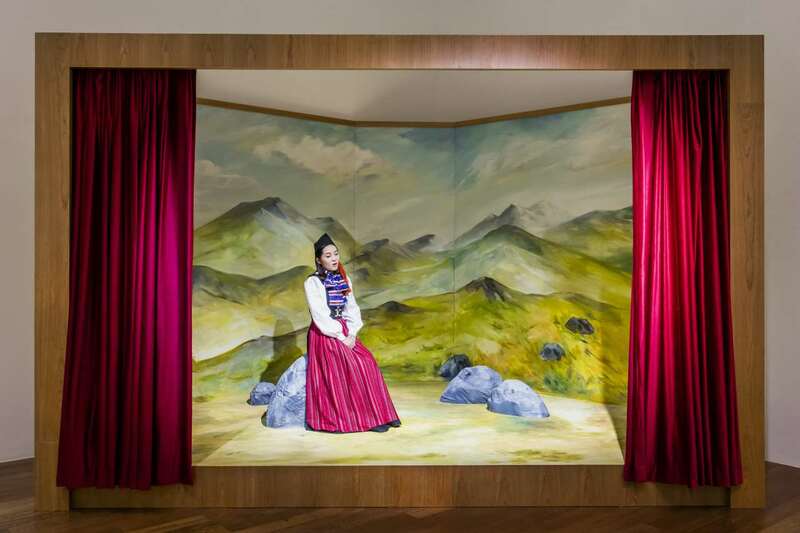 Yan Pei-Ming, Empress Dowager Cixi, 2018 © Yan Pei-Ming, ADAGP, Paris, 2018. 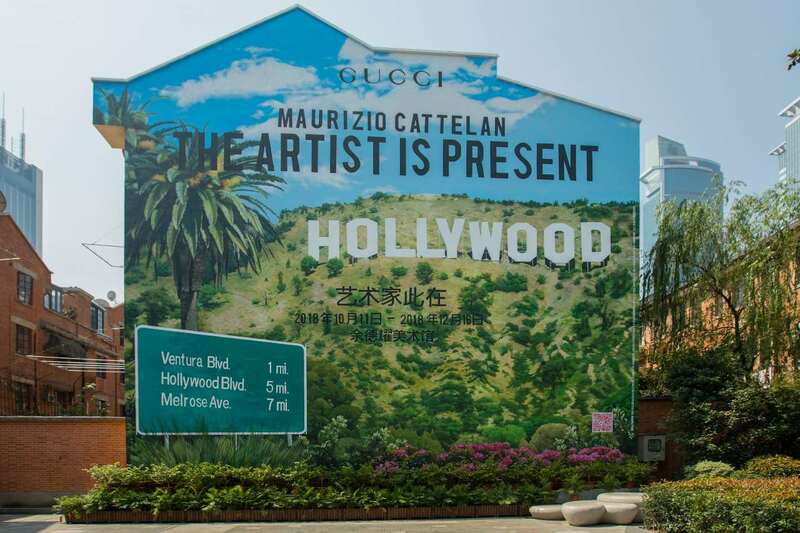 Courtesy of the artist and Massimo De Carlo, Milan/London/Hong Kong. 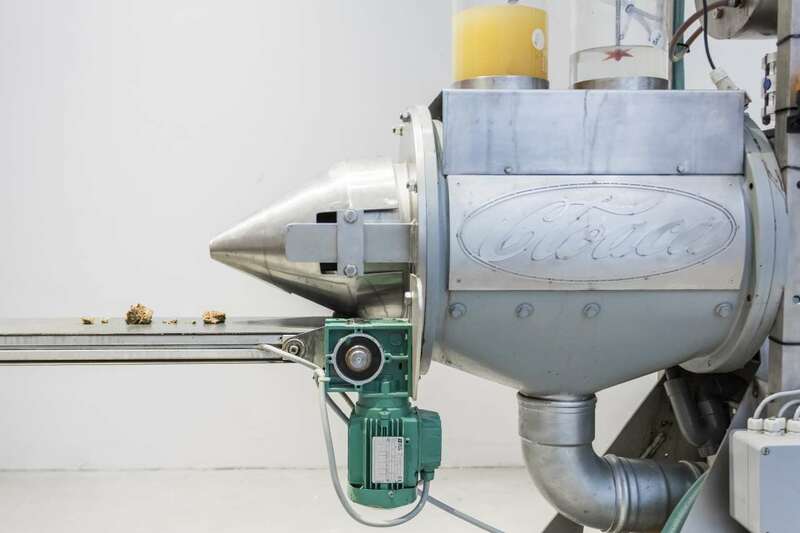 Wim Delvoye, Cloaca N° 5, 2006. 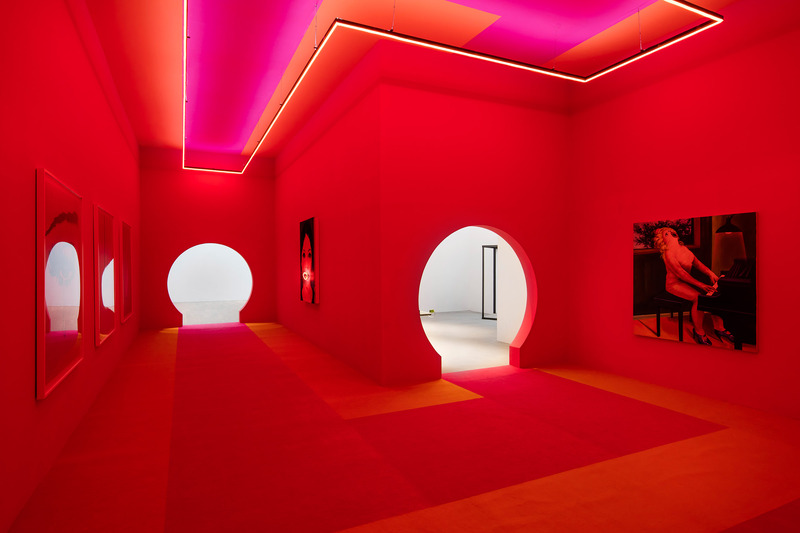 Collection and courtesy of the artist; courtesy of Galerie Emmanuel Perrotin, Paris, New York, Seoul, Hong Kong, Tokyo, Shanghai. The Artist is Present, Shanghai 2018. Exhibition View. HOLLYWOOD TM & Design © 2018. Hollywood Chamber of Commerce. The Hollywood Sign is a trademark and intellectual property of Hollywood Chamber of Commerce. All Rights Reserved. Poster of the Exhibit. Photo by Ronan Gallagher; from an image by Marco Anelli ©️ 2010.